All proceeds from ticket sales will be donated to local charities in the Boston area. The Harvard Humanitarian Initiative will organize a benefit concert on Sunday, November 18 to raise funds for local charities in the Boston area. 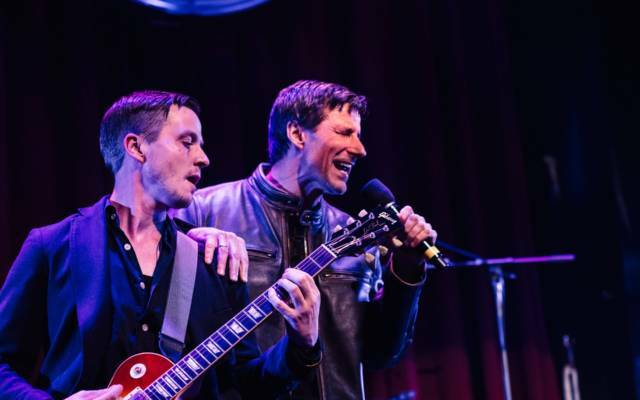 The concert, held at OBERON in Harvard Square, Cambridge, will feature covers of classic and contemporary rock songs played by The Big 6, a Harvard supergroup formed by Emergency Physicians from Brigham and Women’s Hospital and staff from the Harvard Humanitarian Initiative! The Big 6 is comprised of Michael VanRooyen, Director of HHI and Chair of Emergency Medicine at BWH; Tim Erickson and Valerie Dobiesz, Faculty at HHI, BWH, & HMS; and Sam Plasmati, Isaac Baker, and Katie Farineau of the Harvard Humanitarian Initiative.